Hanson, the aggregates, concrete and cement producing company, which originally dug gravel from Rickneys Quarry, was given until the end of 2017 to commence sand and gravel extraction the quarry. This limit has since expired and Hanson have appealed to have this limit extended to 31 December 2021. 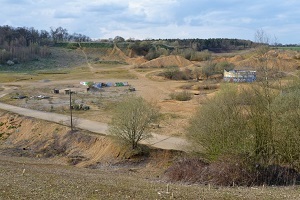 Although Rickneys Quarry became largely defunct in the 1990s, in 2014 Hanson was given until 31st December 2017 to bring proposals to extend the quarry. Acceptance of the application does not necessarily mean quarrying will commence, the application, along with the ongoing planning application for a new quarry near Bengeo School does give cause for concern. Residents have been given until 29th January to respond to the proposals, but Ben Penrose, MRA chairman, has contacted Hertfordshire County Council requesting an extension to the end of January. This is so that the proposal can be properly assessed and residents informed. Hanson Quarry Products Europe Limited applied in 2013 to Hertfordshire County Council under planning application reference 3/2077-13 for planning permission for the variation of condition 2 (Time Limit for Commencement) of planning application 3/0629-06 to vary the date of commencement to be no later than eight years from the date of the original permission i.e. up until 23 December 2017 for sand and gravel extraction at Rickneys Quarry. That application was accompanied by an Environmental Statement. That application remains undetermined. Further information has now been submitted seeking to extend the date of commencement up until 31 December 2021.